July was a good writing month – 34,092 words in total, mostly on the third novel in the zombie series. That’s slightly less productive than June but it’s entirely down to the fact that I spent most of the month revising rather than writing new words. More important than the raw word count, I completed the first draft. I read through the entirety of the first, “zero”, draft and fixed the structural and continuity errors (and tweaked a lot of the sentence and word level stuff as well). This is the part of the writing process that I a) like the least and b) find the most difficult. It’s a relief to get that draft zero cleaned up. Even better, it seems like a good book. 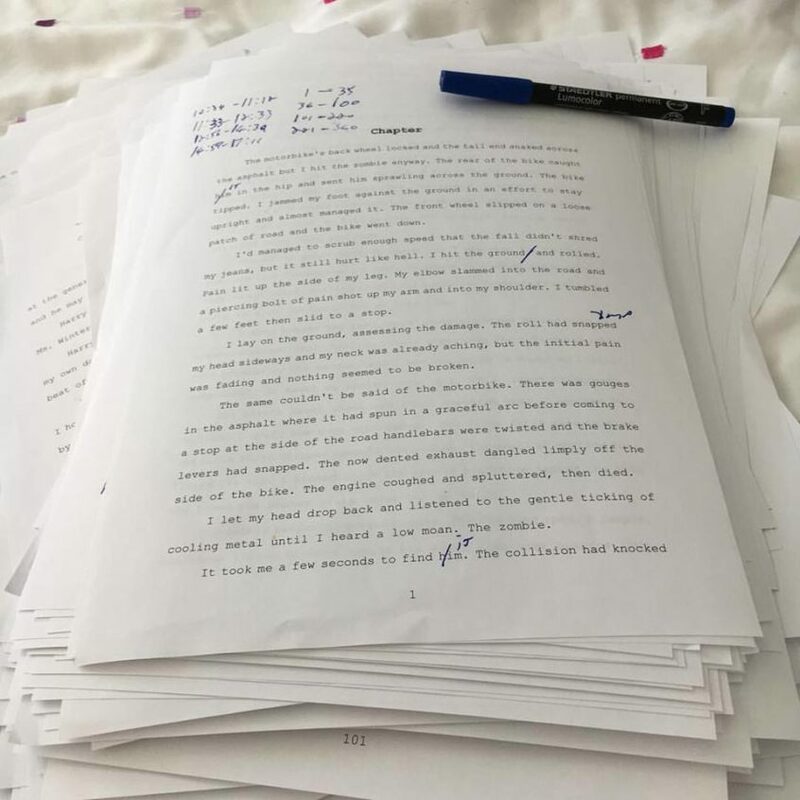 There’s still at least two more drafts to go before I send it off to my editor, but those are more about refining the book rather than ripping out chunks and replacing them. 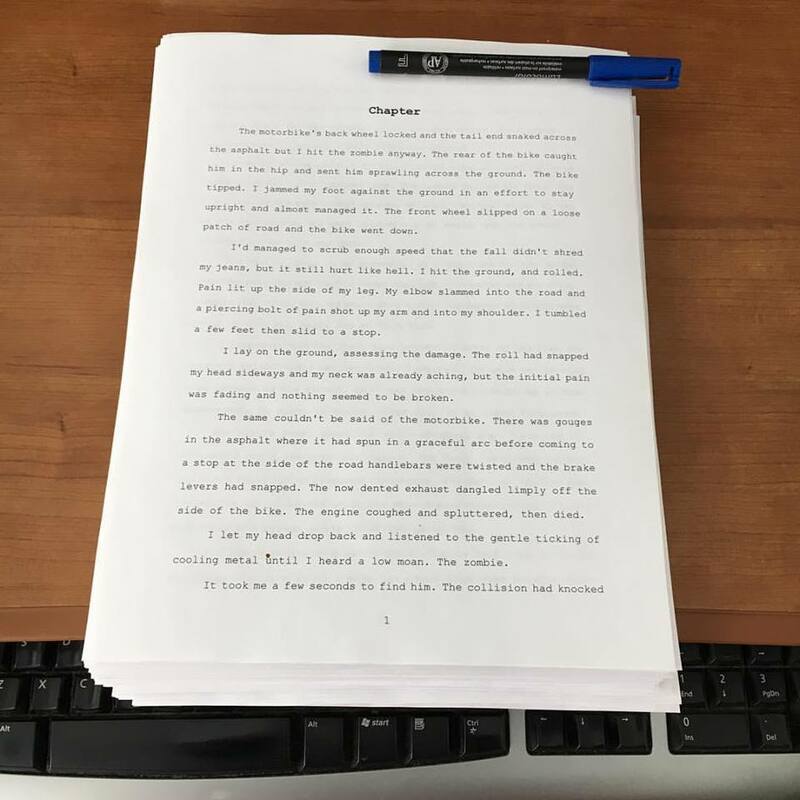 I did write the first draft of a new story, tentatively called The Last Soul Diver. My process for this one was a bit different – I dictated it using Dragon Dictate. It’s the first time I’ve used dictation and I was very impressed. The main goal is to increase the speed of first drafting and it certainly did that. Right out of the gate I was 50-100% quicker than if I’d been typing and that speed should increase once I get used to the process. The down side is that the first draft tends to be a bit rougher because of dictation errors and because I don’t go back and tweak things like I would if I was typing. I think it’s going to be a good trade off though so I’ll be going back to Dragon in the near future. The Last Soul Diver still needs plenty of work, and I’m planning to submit it to an anthology so I’ve got no idea if/when it will see the light of day. What else have I been up to…? Oh yeah, reading. Lots of urban fantasy this month, all of which I enjoyed. I re-listened to Jim Butcher’s Dead Beat. Still enjoying the second trip through the series – the storylines get deeper and more intricate with each book. Owl and the Electric Samurai is the third book in The Adventures of Owl, a sort of Lara Croft meets Supernatural urban fantasy series by Canadian author, Kristi Charish. Lots of fun and there’s more on the way. Hidden Blade is the first in Pippa DaCosta’s Soul Eater series. This one has a strong Egyptian flavour which sets it apart from a lot of other urban fantasy. The series wraps up later this year so I’m holding off until the last volume is out and then I’ll read them all back to back. I read and enjoyed Clara Coulson’s Soul Breaker last month and followed it up with the spin-off novella, Dream Snatcher in July. That’s another series I’ll be sticking with. The Ghost Line is a novella by J.S. Herbison and Andrew Neil Gray. 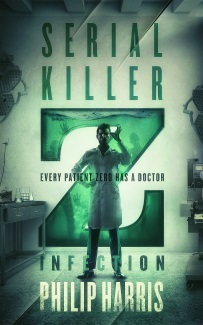 It’s a creepy science fiction story that would well as a movie. I enjoyed it but wasn’t completely sold on the ending. I’ll still be keeping an eye out for more by the authors though. Next up was Gwendy’s Button Box, a collaboration between Stephen King and Richard Chizmar. This one has that classic Stephen King sort-of-horror feel. Again, I enjoyed it and the writing is excellent, but the ending left me distinctly unsatisfied. 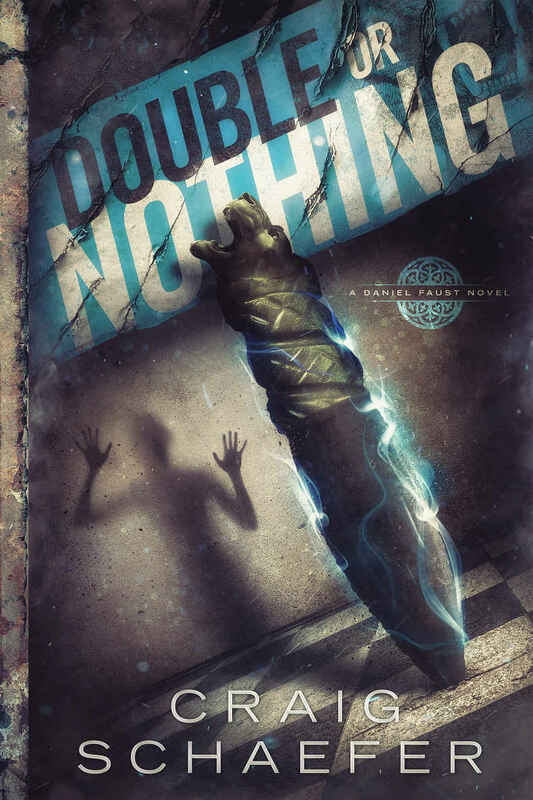 And last but not least, back to some urban fantasy with one of my favourite authors’ new release – Double or Nothing by Craig Schaefer. I keep meaning to writing a blog post on the Daniel Faust series (and the spin-off Harmony Black) and maybe one day I will. For now, I’ll just say that Craig Schaefer’s books jump immediately to the top of my to be read pile when they’re released and I haven’t been disappointed yet. I listen to them on audiobook and again Adam Verner has done a fantastic job bringing the book to life. There were movies, too – Patriots Day (tough to watch at times but excellent and far better than I expected), Guardians of the Galaxy Volume 2 (baby groot! ), and Mission: Impossible 2 (that has not aged well). That’s it for me. The blog has been a bit quiet recently but I have a bunch of posts planned including a cover reveal or two (once they’ve gone out to my mailing list). Don’t forget, if you sign up to my newsletter you’ll get four free ebooks, plus a new short story collection later this year. CLICK HERE to get started.